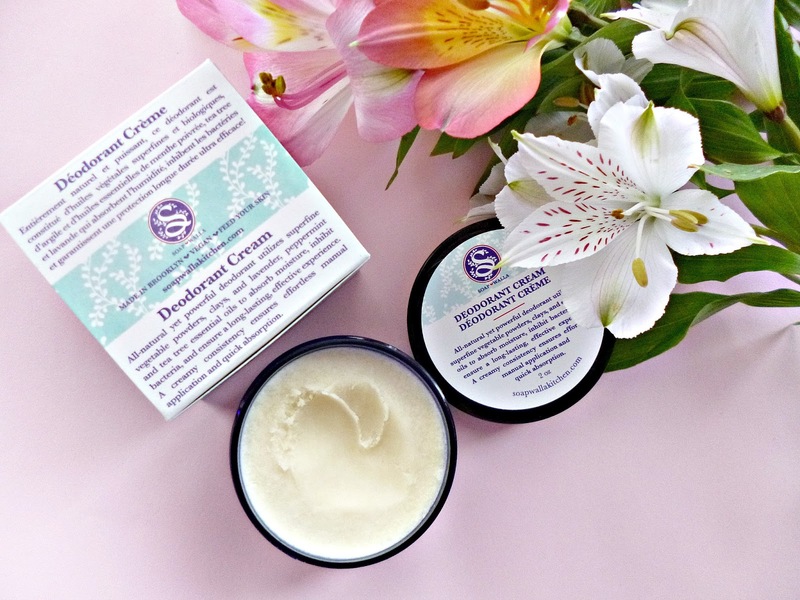 The Soapwalla deodorant cream Is a mix of oils such as Shea butter, rosehip oil and jojoba with Bicarbonate of soda, Kaolin clay and essential oils. It has a deeply herbal smell which I personally love and which could easily be unisex. The texture is firm in the pot but soft enough to scoop out with your fingers, I warm it slightly in my finger tips before applying. You take a small amount and apply to clean dry armpits (I press it in rather than rub, to minimise chances of irritation!) and that is pretty much it, it keeps odours at bay all day, reduces sweating and hasn’t so far caused me any irritation at all (some people are more sensitive than others to the bicarb so that’s worth keeping in mind). I have been testing this for weeks, in fact I have really put it through it’s paces with full days at work and the gym and the performance has blown me away! It lasts all day without having to top up unless of course I have been to the gym and showered, it dries quickly and doesn’t stain clothes and really works, all in all I like this much more than my previous deodorants and performance wise I haven’t found anything to beat it. The only downside for some may be the price, in the US it is $16 but UK and European stockists seem to just swap the dollar sign for the pound which makes it much more expensive, although still fairly cost effective given the pot lasts a few months at least! Green beauty details: 100% natural, aluminium and paraben free, company states no animal testing, uses certified organic and food grade ingredients, GMO free and Vegan. Available at A Beautiful World, Content Beauty for Europe and Widely stocked in the US. It may of taken a while but I am very happy to have found something that works for me as well as Soapwalla. If you are looking for a deodorant that works really well and has a simple and natural ingredients list this is one to try! Bought by me and a very happy purchase at that!